PhotoCool can make your photos into cool memories. All you need is four steps and a good photo paper; you will in no time have great prints to smile at. PhotoCool gives you many options to retrieve photos from digital camera, scanners or disk. 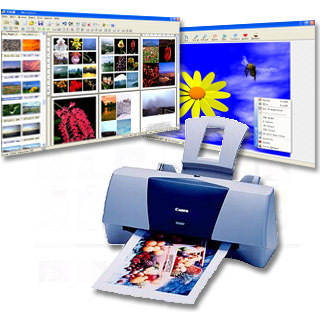 All the operations can be performed by drag-and-drop or images can be arranged by thumbnails, by size or manual mode. Once you have uploaded your photos you can use the editing tools by PhotoCool image editor. The programs image editor can edit individual images with tools like rotate, flip, color and light levels, crop, blur, sharpen, alpha and perform color corrections. If you cannot wait to share the photos with your friends send them directly through email. PhotoCool is software which is extremely easy to use. It will complete all your tasks in just four steps. You can also add frame to photos with the customize frames. You can create wonderful layout ready to go in just a few minutes. Use PhotoCool and make your photos come alive. This site does not contain serial number, crack, keygen PhotoCool serial number : serial number is the simplest type of crack. A serial number(cdkey,product key,etc) is register the program as you may already know. a crack or keygen may contain harmful software. If you cannot find the exact version you want, just give it a try. for more information read .nfo/.txt/.diz file include in zipped file.